Still Light and a Lopapeysa FINISHED! Yes, I have two finished projects to show you. First of all, I was asked to knit a little traditional Lopapeysa for a friend who wanted to give it to his little cousin. I have basically stopped knitting for others except every now and then since there are just so many projects I want to do for me and mine. But this particular pattern is exactly something that was on my to-do list anyway. And I am happy with the outcome. 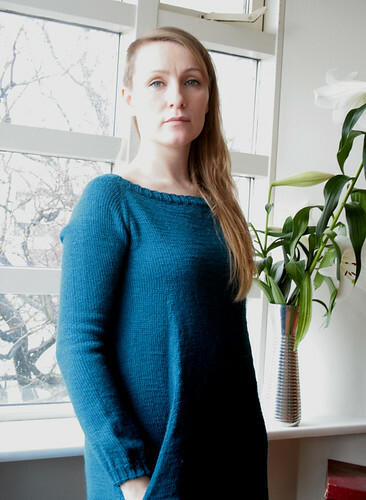 And then I finished Still Light Tunic by Veera Välimäki. I absolutely love it. I washed and blocked it on Saturday and was wearing it all day yesterday. 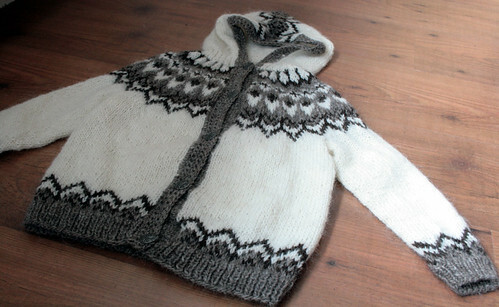 It is such a great pattern, and I love the color and the yarn and just all things combined. I am already planning another one, even if it is knitted on 3mm needles. Don’t care, I want more of these! Right now I am working on Brownstone by Jared Flood for a friend of mine. I am knitting it out of Rowan Felted Tweed in grey and it is turning out wonderful. Already have the first sleeve done and started the second one that I will probably finish tonight. Can’t wait to get to the body, not a fan of knitting sleeves! We have had a quiet Easter here. Went to my grandfathers summerhouse on Friday for dinner and family hang out and board games. The girls enjoyed playing outside and going to the hot tub. I mostly stayed inside and knitted and chatted with the family. Back to work tomorrow, and I have a busy week ahead. Wooohoo! they are all beautiful!!! as always!! sæt stelpupeysa og þessi kjóll er algjört æði, til hamingju. 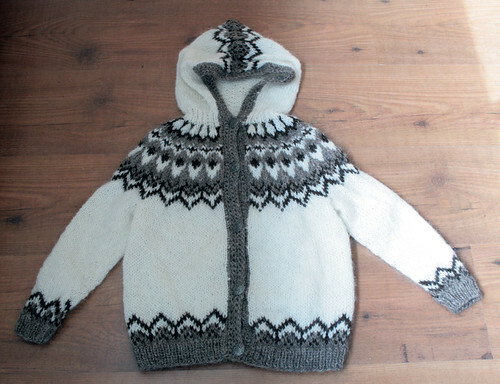 I wish I knew how to make a Lopi sweater. I think the hood construction is beautiful. We have a very old hand-me-down probably from my great grandma who made it. I really need to try it. It’s hard to find a good pattern in English. Ístex publishes the Lopi books, at least the most recent one in English now! If you want some, please let me know! I had to reorganize my computer after a damage problem, I now put your blog under “Knitting” not under “Stitching” as before. 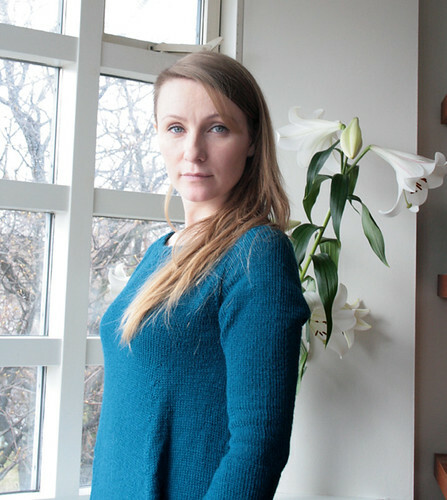 I am also a Knitter and a Stitcher and every day I don´t know what to do first. In other years I also worked for others for presents a little bit. But I saw, a lot of people don´t see the work and the time you put in that piece of work. Now I only work for my family, also because I hope that one day, when I am gone, my children will remember me in using those things I have worked, because I gave all my love in. Both your finishes are gorgeous, congratulations!